AT ACME, WE WANT OUR CUSTOMERS TO GET THE SERVICES THEY NEED, ONLY WHEN THEY NEED THEM. Take it from a few of the most reputable names in the industry... When you are ready, call 614-477-7663 for a free estimate on any of your exterior building needs! Sometimes a roof can naturally reach the end of its useful life without experiencing a roof failure. It just looks old and worn, and you are doing preventive maintenance on your home. If replacing an old roof is delayed, however, it could result in bigger problems down the road. So watch for the warning signs to be sure to give yourself plenty of time to add the project to your TO DO list. 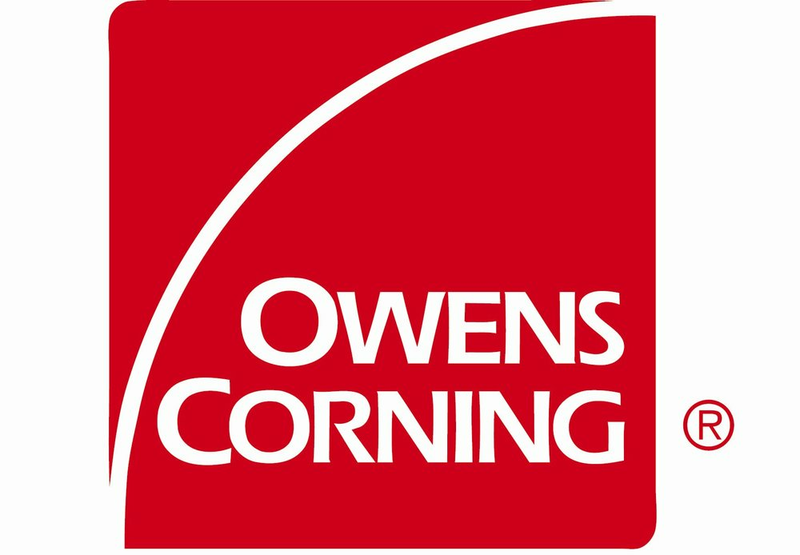 Information about how to tell when you're ready for a new roof provided by Owen's Corning. Siding is an important component to your house’s exterior that protects your home. Here are 12 signs to know when it is time to replace your siding. The single biggest change you can make to the exterior of your home is updating your siding. Because of the surface area and the skill set needed to install it, this home improvement is a substantial investment. It’s understandable that any cost conscious homeowner would want to make certain that this update is being done out of necessity. If you’re not sure if now is the time to get this project started, here are a dozen of the most likely times new siding is needed. Bubbling or Blistered Siding - This can happen when siding is exposed to superfluous amounts of heat or moisture. If they weren't there when the siding was installed, it shouldn’t be there now. Replace affected areas of the siding and work with a reputable siding contractor to identify the cause and prevent it from happening again. Hail Damage - Chipping, denting and cracking are all evidence that your home’s siding has been damaged by hail. Because hail oftentimes limits the ability of siding to properly act as a protective barrier against nature’s elements, it is a good idea to replace your home’s siding once it shows hail damage. Outdated Color - If you can give directions to your home based solely on the siding color, it’s time for a facelift. An obnoxious color can be a source of embarrassment and if it’s bad enough, it can actually hinder your ability to sell your home. Wildlife Damage - Take back your home from woodpeckers, squirrels and insects by replacing damaged wood siding with a maintenance-free product. Dry rot - This fungus is fueled by moisture and causes wood to decompose. Besides being unsightly, dry rot weakens siding, preventing it from acting as a shield against mother nature. You Have A New Addition - Clearly, a new addition requires siding. Consult with a quality contractor to see if your entire home needs to be resided or just the new addition. Cracked Siding - Cracked siding is an invitation for water to penetrate the underlayment. Over time, this problem can become more serious. If it’s only a few pieces with this issue, simply replace those. However, if it’s several areas around the entire house, you need consider replacing all of your siding. Loose Siding - There are a lot of reasons that siding may loosen such as shoddy installation, wind damage and the home may be settling. Regardless of the specifics behind it, loose siding cannot properly protect a home and should be addressed. You're Sick Of Staining - Continuously having to paint and stain your siding can be a real pain. Adding insult to injury is the cost. Why not put your hard earned money towards a more long-term solution? Your Energy Costs Are Out Of Control - Exorbitant energy costs can be compelling evidence that your home’s insulation is lacking. Not only is insulation found in your attic, but also in your home’s walls. In fact, there are new house wrap products on the market that now can insulate your home. Interior Paint and Wallpaper Are Peeling - If this happens in your home, it can demonstrate that your siding is permitting moisture in. Ignore this problem and experience more widespread issues later. Extremely Faded Siding - Not only is it an eyesore, but it also shows that siding is weaker than it should be and that it has reached the end of its lifespan. 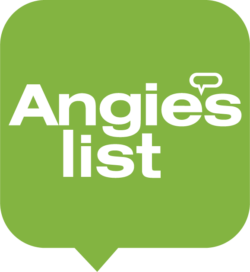 Information about how to tell when you're ready for new siding provided by Angie's List. There's no such thing as shabby chic when it comes to windows. If your windows are looking tired and worn, consider investing in replacement windows. Installing replacement windows can reduce your home’s energy costs, improve indoor climate comfort for your family, and enhance your home’s overall appearance. But a window replacement project should not be entered into lightly. The choices made must be lived with for several years, so make sure to consider all factors. Here are some things to keep in mind when choosing your replacement windows. Even minor changes in window construction can make a significant difference in how your home looks. The type of frame, the color of the frame, the tint of the glazing all affect how the window and home appear. The appearance of any window will deteriorate with time and exposure to the elements. In some cases, routine and preventive maintenance can restore them to their original appearance. In other cases, the cost of restoration will add up to a significant portion of the cost of replacement windows. If new windows are being considered and are determined to be the best option for your home, consider having one of the new units installed as a test case to determine how it will affect your home’s appearance. The promise of improved energy efficiency is one of the most often-cited reasons for replacing windows. Increasing the number of glazings, reducing the rate of air infiltration and using a heat-reflective coating will all improve your home's energy performance. As windows age, their components wear and deteriorate. Some components shrink and dry out, resulting in gaps that can allow air to infiltrate into your home. The looser the fit, the greater the infiltration, and it doesn’t take much of a gap for air infiltration to become a major problem. How's the window frame holding up? Frame materials can deteriorate as the result of rot, corrosion, physical damage, weathering and other factors. As they deteriorate, more air and water will enter into your home. Deterioration of nearly any frame materials, beyond surface corrosion, will usually require the replacement of the entire window. In homes with large areas of glass, the solar heat gain through the windows can make spaces near the windows difficult to cool. Today’s window glazings can eliminate as much as 80 percent of the solar heat gain while allowing nearly 90 percent of the sun’s visible light to pass through. When considering which solar control option is best-suited for your home, consider the overall condition of the windows and the other performance characteristics needed. Window hardware is subject to wear with normal use. If maintenance requirements for your window hardware are increasing as a result of the age, or if the existing hardware is not adequate, then window replacement is recommended. Can the window still open and shut? One of the most common window issues is difficult or impossible operability. Over time, components swell, warp and bind. Often, the cost of restoring these units to operable condition can exceed the cost of a replacement window. Information about how to tell when you're ready for new siding provided by Pella. Gutters are an important part of your home: They direct water away from your home’s exterior walls, windows, doors, and foundation, preventing water from making its way inside. Although cleaning your gutters several times a year will enhance the longevity of your system, most gutters will need to be repaired or replaced eventually to help protect your home. Cracks or splits of any kind - While small cracks in your gutters may not seem like a big issue, small cracks will eventually turn into big ones and it may happen sooner than you think. If you allow cracks to remain without, water can not only damage gutters further, it can damage the fascia boards behind the gutters, the shingles above the gutter and the foundation below. Paint peeling on or around your gutters and/or flecks of orange - The paint on your gutter is designed to withstand the typical wear and tear throughout the seasons. Unless your gutters are extremely old, peeling paint or orange flecks from the beginning stages of rust are an indicator that water is present on a continuous basis. This could indicate water is not being removed by the gutter or that cracks or other damage may be present. Pools of water or signs of mildew around your home’s foundation - Gutters are designed with the purpose of keeping water flowing away from your home’s foundation. If you notice pools of water or mildew near the foundation, it can indicate that the gutters are not working as intended. This could be caused by something as simple as a clog or by something as complex as a defect in the gutter system. Water can easily cause foundation damage, leading to costly, time-consuming repairs. Water damage or water marks directly beneath the gutters - Check your gutters at least once a year on a day that’s relatively sunny and free from rain. Water damage or marks underneath the gutter indicate that leaking or overflowing water is escaping the gutter. This type of water intrusion can damage your soffit and fascia board. Gutters sag or have begun to pull away from the house - This is one of the easiest ways to tell you need gutter repairs or gutter replacement because you don’t need to be on a ladder to notice it. Gutters should never sag or pull away from the home. This can indicate that the gutters are full of water and pulling away from the house due to the weight. Sagging gutters could require significant cost or hassle to repair. A full gutter means that the gutter system may not be appropriate for the home, its draining improperly or debris is causing blockage.